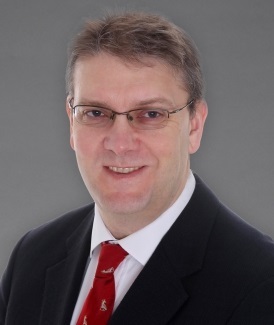 Giles Peek MD, FRCS, CTh, FFICM—a 1990 graduate of London's Kings College Hospital School of Medicine—he earned his higher research degree upon submission of a thesis investigating the use of different biomaterials during extracorporeal life support. Dr. Peek was granted his intercollegiate specialty board certification in cardiothoracic surgery in 2002. Two years later, he was appointed consultant surgeon in Leicester United Kingdom and became Head of Service at Leicester's East Midlands Congenital Heart Centre (EMCHC ) in 2008, where he started the Norwood program and introduced several other operations into the repertoire of the unit including the Ross-Kono, Handley and Double-Switch. Dr. Peek joined Montefiore as Chief of Pediatric Cardiothoracic Surgery and Co-Director of the pediatric heart center and Director of the ECMO program at our Children's Hospital at Montefiore in 2015. Dr. Peek provides services to pediatric and adult congenital heart and thoracic surgery, however, he is particularly interested in neonatal surgery. Dr. Peek was appointed to the national training post in pediatric cardiothoracic surgery and trained under Bill Brawn at Birmingham Children's Hospital in Birmingham, England and under Martin Elliot and Marc de Leval at Great Ormond Street. He has served as the inaugural chair of EuroELSO (the European branch of the Extracorporeal Life Support Organization) and a member of the organization's steering committee from 1999-2014. Dr. Peek was an inaugural fellow of the faculty of critical care medicine. In addition to his professional endeavors, Dr. Peek—the father of two adult children—also enjoys a robust personal life where his energies are devoted to mountain climbing, cooking and spending time with family.